Diving back into reporting, Kara welcomes a new cub reporter to CatCo. Meanwhile, James and Lena argue about James’ impending indictment for acting as the vigilante Guardian, while Alex and Brainy struggle to get in sync at the DEO. 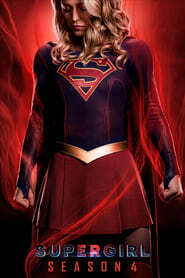 Supergirl is called into action when remnants of the anti-alien terrorist organization Cadmus try to assassinate pro-alien leaders, but their endgame turns out to be much more sinister than she expected. J’onn relishes his peaceful new life, but an outing with an old friend causes him concern.